Well, done Cheryl, as Clicker said it's a case of seeing an image, it doesn't show everything, but does make it a rather interesting graphic study. Great work - Well done, Cheryl, that really is an excellent image. Well done Cheryl - love the mix of textures in this one. Well chosen, and well done Cheryl! Well chosen and I agree that this is a great example of how to make something from the mundane. Good choice! Well done, Cheryl. Thank you very much, Polly. 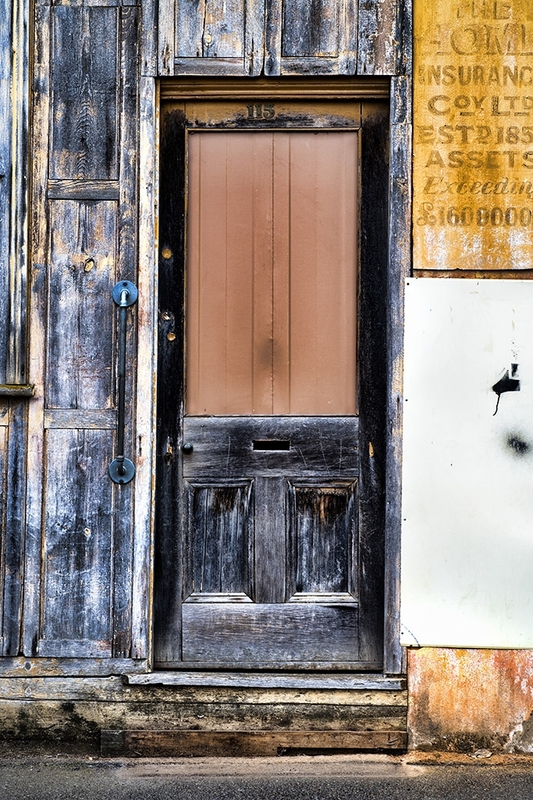 It’s always such a thrill to win POTW and a bit of a surprise to win with this photo of a door. Whilst I love to capture images of beautiful vistas, landscapes sunsets etc ...it’s a lot harder, in my opinion, to find something in a shape or item that isn’t traditionally a source of beauty or interest and make it something aesthetically pleasing and engage one’s attention. A lot of people would have walked past that door without a second glance ... so once again ... well done . Seems I wasn’t the only person to appreciate it .